Moving into your college apartment is an exciting milestone, a sign you’re stretching your wings and exploring independence away from your family. If you’re like most college students, you probably don’t have the budget for fancy furniture or décor. However, there are a few items you shouldn’t overlook when setting up your college pad. A bookshelf promises to be one of the most versatile pieces of furniture in your college apartment. It’ll hold your textbooks and favorite novels, obviously, but it’s also useful for stashing other items such as keys, phone, wallet, purse, ornaments, framed photographs, and random swag. Look for bookshelves with chests at the base for storing sheets, blankets, and towels. Yes the keggers and other social events are exciting, but (que violin) you’re at college to work. While campus libraries have space for studying, all those other students can be distracting. You’ll find studying for exams and completing assignments much easier with a desk at your disposal. Make sure it’s large enough for a computer, even if it’s just a laptop, and for spreading out notes and textbooks. Add a lamp and an ergonomic chair that supports your body during marathon study sessions to create a productive work zone. Never underestimate the importance of a comfortable bed. Most college students get between six and 6.9 hours of sleep, less than the eight hours most health experts recommend. Therefore, it’s important to make sure every moment you’re in bed counts. A comfortable bed will help you sleep soundly, so you can retain information, think more clearly, and perform better. Add a statement duvet to keep you warm on winter’s nights and make your space feel more like home. It’s so easy to slip into bad eating habits while you’re in college. However, skipping meals and binging on takeout does your brain and your body no favors. You’ll find eating in easier with a multicooker. You needn’t spend a lot of money on this handy appliance that browns meat, slow-cooks casseroles and stews, makes hearty soups, cooks rice, and much more. Best of all, many multicooker functions are made for turning some of the cheapest ingredients into tasty dishes. Wall art turns the apartment your college budget can afford into your own personalized space. It doesn’t need to be expensive, but it should speak to you and your personal style. You can find cheap canvases at home improvement and budget department stores. Local markets are also great places to find unique art for less. Alternatively, why not print and frame some of your favorite photographs? These items don’t need to be the most modern or feature-packed. They don’t even need to be brand new. Thrift stores, garage sales, and online marketplaces can help you secure them for a fraction of their original retail prices. However, just make sure you don’t overlook them. All these items are essential for any college apartment. Sometimes, that first semester of college doesn’t go quite as planned. Maybe you want to change your major, and a different school seems more suitable. You may need to move closer to home because of family obligations. Or, maybe your current college just doesn’t feel like a good fit. Whatever your reasons for transferring schools, there are steps you can take to make the transition less stressful. These four tips are a good place to start. You’ve likely already researched other colleges and found a couple that appeal to you. The next step is finding out exactly what they expect from you as a transfer student. The prerequisites for a program can differ from school to school. What sort of grades do you need? Do you need letters of recommendations from your professors? What are the application deadlines for each school? The answers to these questions will determine your goals for the remaining year or semester. For example, you may need to spend more time studying to improve your grades, or you may want to get more involved on campus to improve your chances of acceptance. If you received other acceptance letters when you first applied to college, take a look at those schools first. Do you still want to go to any of them? If so, you can contact them to see if you can transfer without reapplying. Depending on the school, you may not have to repeat the application process. Score! Just make sure it really is what’s best for you academically. Otherwise, you could find yourself in the same situation next year — unhappy and looking to change schools. No matter how thoroughly you’ve researched your new school, it’s always a good idea to contact an academic advisor both at your current school and at your prospective school. The advisors can confirm which credits are transferable and which ones aren’t. Ask about articulation agreements: Having this type of arrangement helps the process go more smoothly. It’s also a good idea to keep copies of your transcripts, syllabi, and course materials. In the event that one or more of your transfer credits are denied, you’ll need this paperwork to file an appeal. The more credits you can successfully transfer, the more time and money you’ll save. Even if you’ve lived on campus already and didn’t exactly love it, consider trying it again at your new school. Most of the people in your year have their groups of friends already. You’re starting from scratch, and making new friends will be easier if you stay in a dorm. You may find that you get along with your roommate quite well. If the idea of a roommate makes you shudder and you have a flexible budget, most colleges offer single-room options. Starting over at a different college has its challenges. You can make the transfer less stressful, though, by planning ahead of time and getting involved in campus life. 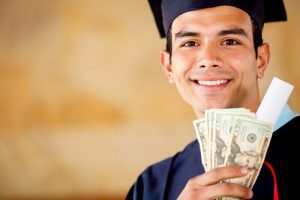 Whether you’re a student considering a change, have yet to declare a major, or are just beginning your college search, knowing which degrees are the most viable in terms of potential income can help you make a wise decision. Check out this list of the college majors that offer the highest salaries after graduation. With just a bachelor’s degree, young economists and mathematicians can earn about $60,000 per year. That amount can double after roughly a decade in the career force. This undergraduate degree is also an excellent springboard for doctoral studies in areas such as economics, business, and other niche subjects. If you’re interested in marine vessels and structures, you can put your passion to work and enjoy a fantastic salary in your first years as a professional. Marine engineers can make more than $70,000 in their first five years on the job. That amount can increase to approximately $125,000 per year by the midpoint of your career. Chemical engineering, which mixes the disciplines of the physical sciences, life sciences, mathematics, and economics, also offers an enticing starting salary and enticing midcareer pay projections. Chemical engineers can also earn more than $70,000 when they start their career. After a decade of experience, they can expect to make more than $125,000 annually. Nuclear engineers can make up to $70,000 per year in their early career and $128,000 by the midpoint of their career. Nuclear engineers also report high career satisfaction and feel their work has a positive impact on the world. These professionals apply the principles of nuclear physics to study and to manipulate nuclear energy and radiation. Actuarial scientists can make roughly $60,000 within their first five years after graduation. That amount can more than double by the 10-year mark. Actuarial scientists explore how risk affects insurance, finance, and other fields. Actuarial mathematics is a more specialized field that also looks at risk through the lens of mathematics and statistics. Actuarial mathematics, however, focuses on insurance concepts. With a bachelor’s degree, you can expect to make about $57,000 in your early career. With about a decade of experience under your belt, you can pull in an annual salary of approximately $130,000. Petroleum engineers enjoy a high starting salary and excellent midcareer pay. You can enter the career force immediately after receiving your bachelor’s and make roughly $95,000 in your first five years. Even if you complete a master’s or a Ph.D. in another field, you’ll find a hard time topping the first-year pay that a petroleum engineer receives. These top-paying jobs all offer high starting salaries, solid potential for career growth, and excellent job security. You can start even at an entry-level position and enjoy these great benefits. Most high-paying jobs that just require a bachelor’s degree are in the engineering field, with actuarial mathematics and science also topping the list. Though the top-paying jobs in America are in the medical field, you can enter one of the above fields with just your undergraduate degree.